December 12, 2016, New Delhi, India: Exactly a month ago, Prime Minister Narendra Modi announced the demonetisation scheme and the discontinuation of 500 and 1000 rupeee note. The objective of the scheme was a surgical strike on black money and corruption in India. The Prime Minister in his remarks did warn the country of some upcoming pain that this radical reform will have. A month later, citizens of India are surely experiencing the pain. The pain though seems to have multiple aspects to it. In addition to standing in queues of banks and atms for hours and not being able to find cash easily, some citizens are also experiencing lower earnings and a much larger percentage have now lowered their spending. 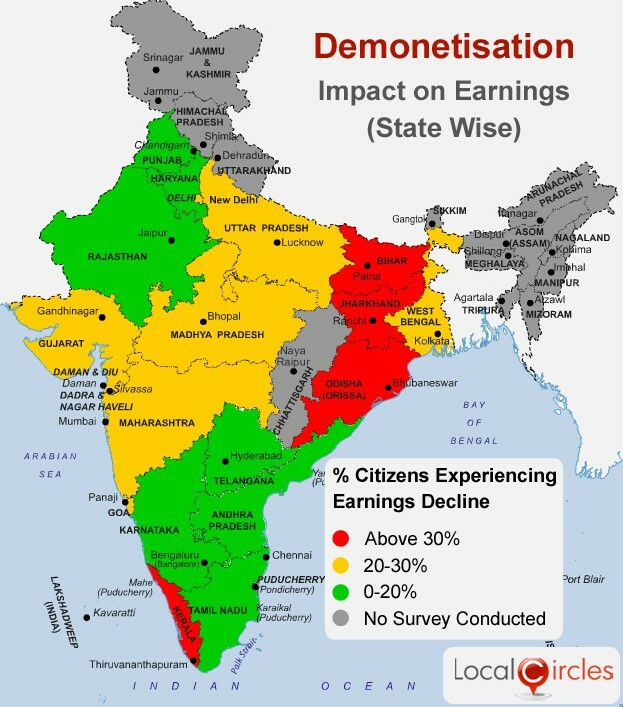 LocalCircles, conducted a national and state wide survey on the impact on earnings and spending that demonetisation has had and 20% citizens have explicitly stated that their earnings have been impacted. 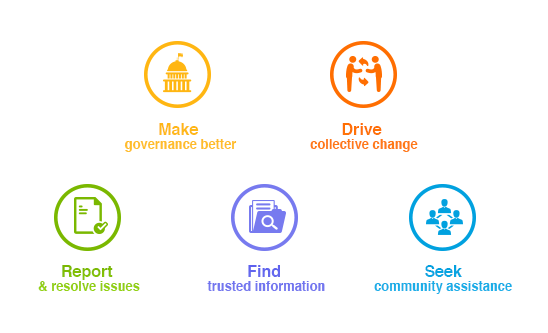 Approximately 48% citizens are spending less. These were results of the poll in which over 15,000 citizens from over 220 districts of India participated. The survey was done at the state levels and some states are feel the heat on earnings more than the others. The State of Bihar, Jharkhand, Orissa and Kerala are seeing the most decline in earnings followed by states like Gujarat, Maharashtra, Madhya Pradesh, Uttar Pradesh, Delhi and West Bengal. 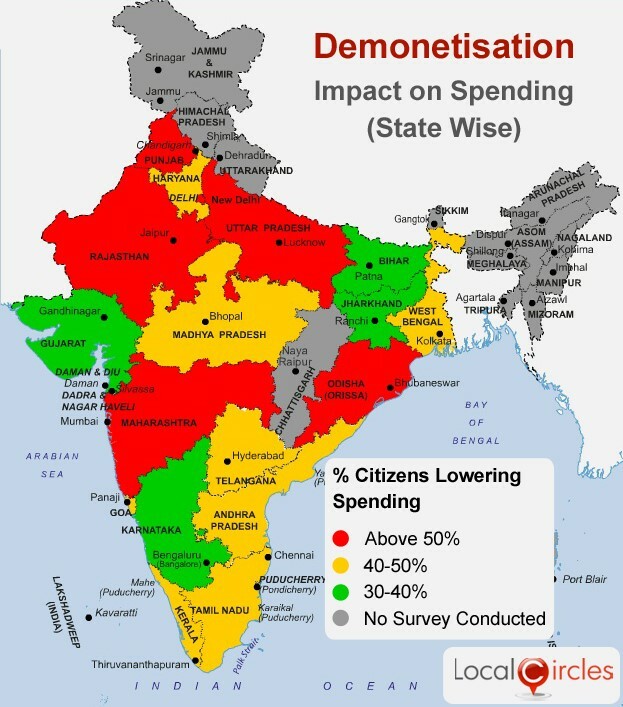 On the spending front, citizens from the states of Maharashtra, Rajasthan, Uttar Pradesh and Punjab have lowered spending the most with 50% citizens confirming the same. Per related surveys conducted by LocalCircles, 90% traders were found to have experienced a decline in their business post deonetisation with 44% experiencing declines more than 30%. As far as the startups and SMEs go, 34% have seen reduced transaction flows and 28% are experiencing a fall in account receievables. Approximately 60% citizens could not find a functioning ATM during the pay days of Dec 1-2. Below are the detailed polls on earnings and spending impact of demonetisation at the national and the state level. Some states have not been covered in the survey due to lower number of responses.